Today’s world abounds in banking and financial scandals. The banks of today have redefined the art of money laundering. Some of the biggest banks in the United Kingdom were charged billions of dollars in fines by the US authorities for indulging in money laundering practices which could put US citizens at a risk of terrorism. One has surely heard of the LIBOR rate rigging scandal and the record trading losses suffered by investment banks in the US and other parts of the world. A major ethical issue was the huge salaries drawn by the top management of the Too Big To Fail banks in the Western world inspite of the US Government bailing out these banks using tax savers funds. One has surely heard of the US Subprime Mortgage Crisis which shook the entire western and world banking system and necessitated the bailout of top banking and insurance institutions which were regarded as Too Big To Fail. Who can forget the recent Cyprus Financial Crisis? Closer home the bad loans in our public and private sector banks have reached great heights. Some of the reputed industries in the gold and diamond business, infrastructure, airlines and other industries have defaulted on their loan repayments and raised the non performing assets of Indian banks to very high levels. Problems Galore? Is there a viable solution to all these problems that plague the banking and financial sector. Is There Something One Can Learn From Islamic Banking To Solve The Problems That Plague The Western Financial And Banking Institutions? 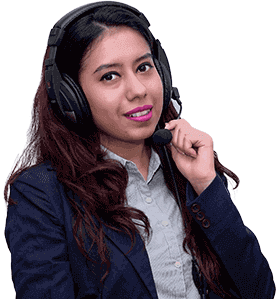 I would like to remind you that the team of Financial Planners at IndianMoney.com are always there for you to plan your financial needs in a most effective and efficient manner. You can explore this unique Free Advisory Service just by giving a missed call on 022 6181 6111. So What Is Islamic Banking All About? Let us first understand that the Shariah law is a moral code and a religious law of Islam. The Shariah law is against the concept of both charging and receiving interest which is strictly forbidden. This is known as Riba or Usury. The Shariah law strictly forbids investing in companies that provide goods and services contrary to the basic tenets of Islam. These include alcohol (Haram), tobacco, arms, pork, cigarettes and gambling (Maysir). When one compares modern banking systems one notes the collection of Usury or Interest. So Why Do Banks Charge Interest? Interest is basically paid by the borrower to the lender as the lender would lose the use of the capital lent or the liquidity that cash provides for a certain period or a measure of time. The borrower compensates this loss to the lender by paying interest. Another reason for collecting interest is the change in the value of money due to inflation or the change in the purchasing power of money. Inflation needs to be factored in and the lender needs to be compensated for this loss. Let us consider a bank lends capital for a businessman to start a business. The businessman then invests these amounts in his business and works to get a profit. The bank loses liquidity for a fixed period of time and the borrower has to compensate for this by paying the bank an interest compenent as well as return the capital within a certain time frame. This has to be done irrespective of whether the business is running at a profit or a loss. If the businessman suffers a loss he has to pay back the amount from his own resources. This might even lead to a seizure of assets in extreme cases. The bank or the lender suffers no loss in this entire transaction. According to Islam this is an injustice to the borrower and Riba is strictly forbidden. Let us consider the owner of a large amount of capital does not know what to do with these funds as he does not possess any managerial skills or the necessary business skills needed to run a business. At the other extreme is a person who has managerial and business skills but no capital to start and run the business .Let us call him a manager. Both the party’s co-operate with each other and run the business. The capital owner provides the capital but is not involved in the day to day operation of the business and is free to stipulate certain terms and conditions to ensure the best use of his funds. At the end of the agreed period the capital owner gets back his principle along with a share of the profits as per a mutually agreed ratio at the start of the contract. The manager who runs the business gets a share in the profits and this serves as an incentive for him to run the business. In case of a loss in the business the capital owner bears the brunt of the loss. As the capital owner bears a loss in case the business fails this serves as a justifiable cause for him to provide capital to run the business. The manager bears no financial loss except the loss of his time and his work and effort. If the manager does not run the business in a professional manner and the business suffers heavy losses due to negligence of the manager he has to return the full capital back to the capital owner. In case the capital owner withdraws monetary support then he has to reward and compensate the manager for his time and efforts in a suitable manner as per compensation he would have earned elsewhere. This is surely a win-win situation for both. This is the principle of Mudarabah. Under the principles of Islamic banking the clients or customers who deposit money in the bank are the owners of the capital. The bank functions as the manager of the funds. This is a Tier-1 system. Under the Tier-2 system one has an entrepreneur who functions as the manager of the business and the Islamic bank is the capital owner. Under Islam the capital owner and the manager or the labour are viewed on an equal pedestal. The capital owner bears a risk mainly a loss if the business fails. This entitles the capital owner to a stake in the profits of the business. In the Western system of banking the interest component involves a risk free element which is viewed as unjust according to Islam. The entrepreneur through his labour and effort is also entitled to a share in the profits. The capital owner is whole heartedly immersed in the business and as a stakeholder is interested in the growth and development of the business unlike a bank which cares a damn about the business but only in the interest and the return of the capital. One needs to remember that you can transfer funds from a Shariah complaint bank account to a conventional account but if you want to transfer funds from a conventional bank account to an Islamic bank account you can transfer only the principle amounts and not the interest component. This profit sharing model followed in Islamic banking has proved to be highly successful and the assets under management under the Islamic banking model are expected to touch a Trillion US dollars by the end of the Year 2013. One must be knowing about the Current account deposits which are same in the case of Islamic banking as in conventional banking. One has the deposit amounts guaranteed. Savings bank accounts have less stringent norms and conditions and are lenient with respect to maintenance of minimum balance as well as huge amount of funds are set aside for withdrawals. The funds are invested in short term risk free projects with an emphasis to meet the withdrawal demands. The full amount is returned with no promise of profit sharing. Investment banking under the Islamic banking lays emphasis on the profit sharing model and the depositors share the profits with the bank. How Do These Islamic Banks Raise Deposits From The Public And What Is Their Source Of Funding? One must have heard of Musharaka where the Islamic bank joins up with a business organisation in order to run a project on a profit sharing model. This is basically a joint venture. The bank gradually withdraws from the project after the passing of a certain time period. Profits. are shared according to a pre defined ratio but losses are strictly based on the capital contribution. Another common method of financing followed is the bank estimates the rate of return it should earn from a project. The bank then enters into an agreement with the business institution to procure the estimated rate of return the bank believes the project would yield. If the project profits to an extent greater than estimated by the bank it takes only the agreed rate of return. In case of a loss in the project the bank shares the burden of the loss .If the profit is less than the banks estimated amount the bank accepts a lower amount. The Islamic banking also runs a profitable Trade Financing venture. The bank purchases say a car in the name of the client and the client agrees to repay the bank the paid amounts as well as a measure of profits at a later period of time. The Islamic banking model follows a system of leasing where the bank would buy a car used by the client as a cab leased to the client for an agreed price and time period. At the end of the time frame the lessee becomes the owner of the car after paying a balance amount as agreed as per the agreement. Under a Hire-Purchase agreement the bank buys an item say a car and hires it to a client for an agreed rent and time period. At the end of the time period the client automatically becomes the owner of the item or the car. Under a buy-back system the client sells a property or an item to the bank with an agreement to purchase it back at a later time at a fixed or an agreed price. Under the Letter Of Credit the bank imports an item say a costly car or a hi-fi electronic gadget and shares in the profit of the sale of that item. One must have heard of a forward contract which is a non standardised contract between two parties to buy or sell an underlying asset at a time specified in the future but the price is agreed today. This is an Obligatory contract. Let us consider the Kharif season in India where cotton is grown which is a commercial crop. A cotton farmer can enter into an agreement with a cotton merchant before the Kharif season begins where he plants the cotton seeds in July where both parties hit upon an agreed price for the bales of cotton after harvesting, at a future date in January of the following year. This removes speculation (Qimar) from the deal as both parties are familiar with the future price of the product which is cotton in this case. The cotton farmer knows what price he will get for the cotton in the following year and he can set aside funds for certain other important priorities. The merchant also has an idea of the future price of the product which is cotton in this case and can hit upon a proper selling price. This is known as hedging with a forward contract. Under a spot transaction both money and commodities are exchanged simultaneously at the same time (t). Under a deferred system the commodity is delivered immediately (t) but the amounts are paid later (t+1). Under the Salam system money is paid immediately (t) but the commodity is delivered at a later date (t+1). All these transactions namely Spot, Deferred, and Salam are valid as per Shariah scholars. A speculator thrives on volatility which is mainly profiting from the sudden upward and downward movements in the prices of a commodity at a future date. This Qimar is forbidden according to Islamic traditions. However since hedging takes an offsetting position from the investors current position this protects the investor from uncertainity and volatility and hedging with a forward contract is permissible according to Shariah law. I would like to end this article on an important note stating that Islamic banking also concentrates on moral values and social norms. It has an obligation to deal with the poor and the destitute .It focuses on development projects and charitable causes. It has Quard Al Hasan where if an individual needs hospitalisation or a good university education amounts are lent for a short duration of a year and there are no charges for these amounts." Follow Up A Bad Deed With A Good Deed To Cancel It Out ".